This is in short, an excellent film. It deals with the life of a carnival worker —  a nice enough man when he feels that he can afford to be, but selfish and self-centered. He runs into a formerly great mind reading couple at the carnival. The husband is caught in the grip of alcoholism, and the wife is still bound to him, by both love and guilt. 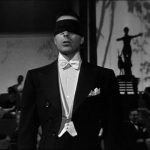 They share a secret —  a code that they used to use in the big time, allowing them to perform an excellent mind-reading act. The unscrupulous young man (played excellently by Tyrone Power) begins romancing the wife (Joan Blondell), trying to weasel their secret out of her. 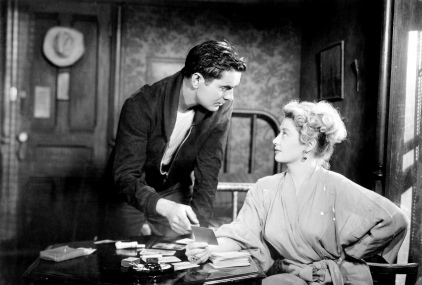 He doesn’t succeed, however, until after the death of the alcoholic husband (played excellently by Ian Keith) —  unintentionally caused by Tyrone Power’s character, leading to the guilt that dogs him throughout the film. He then steals the affection of Molly, the strong man’s girlfriend —  whom he is shortly forced to marry. Pushed out of the carnival, “Stanton the Great“ begins working as a mentalist, with Molly as his assistant, and is soon doing quite well financially —  but he’s not satisfied. He begins crossing a gray line from being a performer who pretends to read peoples’ minds, to being a spiritualist who falsely claims to contact the deceased, in order to bilk the rich, suffering, family members —  with the aid of an unscrupulous psychiatrist; whose help he needs in dealing with his growing guilt. The film deals with Stanton’s descent —  which has to be seen to be appreciated. 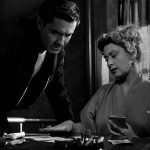 Nightmare Alley is an excellent film noir, and is highly recommended — I rate it 4 stars out of 5. The long-awaited emergence of Nightmare Alley into the light of DVD should achieve two things: make a legendary film noir available to a new generation, and restore the horrific charge to the lately watered-down term geek, a concept that once had the power to give people very bad dreams indeed. To his lasting credit, Tyrone Power — 20th Century Fox’s extraordinarily handsome but not terribly interesting star of the ’30s and ’40s — begged for the chance to play Stan Carlisle, the predatory charmer who snakes his way through this bracingly unwholesome story. 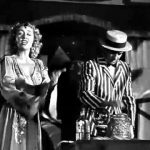 A spieler for — and lover of — carnival mind reader Zeena (Joan Blondell), he displays uncanny skill at — reading —  the susceptible rubes, including a tough sheriff who turns to jelly after Stan psychs him out. Once Stan’s mastered the intricate code used in Zeena’s act, he’s set to dump her for the younger, sexier Molly (Coleen Gray) and go bigtime as nightclub psychic — Stanton the Great. —  After that, it’s only a blasphemous bank shot to superstardom as a miracle worker with his own tabernacle and radio show. Hoatley —  First Carnival Owner: Now this creature —  There he is, THE GEEK! He has puzzled the foremost scientists of Europe and America. Is he the missing link? Is he man or beast? Some have pronounced him man. But beneath that shaggy mane of hair lies the brain of a beast. Pete Krumbein: Throughout the ages, man has sought to look behind the veil that hides him from tomorrow. And through the ages, certain men have looked into the polished crystal … and seen. Is it some quality of the crystal itself, or does the gazer merely use it to turn his gaze inward? Who knows? But visions come. Slowly shifting their forms … visions come. Wait. The shifting shapes begin to clear. I see fields of grass … rolling hills … and a boy. A boy is running barefoot through the hills. A dog is with him. A … DOG … is … with … him. Stanton Carlisle (Tyrone Power): Yes … go on … his name was Jib. Go on! Pete Krumbein: [Choked laughter] Humph. See how easy it is to hook ’em! Pete Krumbein: Every boy has a dog. Stanton Carlisle (Tyrone Power): It takes one to catch one. McGraw —  Final Carnival Owner: Wait. I just happened to think of something. I might have a job you can take a crack at. Course it isn’t much and I’m not begging you to take it, but it’s a job. Stanton Carlisle (Tyrone Power): That’s all I want. McGraw —  Final Carnival Owner: And we’ll keep you in coffee and cake. Bottle every day, place to sleep it off in. What do you say? Anyway, it’s only temporary, just until we can get a real geek. Stanton Carlisle (Tyrone Power): Geek? McGraw —  Final Carnival Owner: You know what a geek is, don’t you? Stanton Carlisle (Tyrone Power): Yeah. Sure, I … I know what a geek is. McGraw —  Final Carnival Owner: Do you think you can handle it? Stanton Carlisle (Tyrone Power): Mister, I was made for it. Carny #1: How can a guy sink so low?